The single biggest difference between the Pakistan Pavilion in Expo 2010 and other Expo’s before is the large size and scale on which the pavilion has been built. It is a well known fact that the strong relations between the two countries is not just limited to the governments of our two great nations but rather extend to the grass root level of the populations of Pakistan and China. 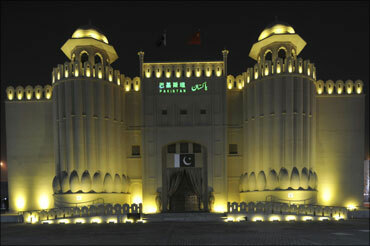 In view of such strong bonds between the two countries and also the fact that Pakistan was given a special space to build its pavilion right next to the Chinese pavilion, we decided that the Pakistan Pavilion would have to be the most grand and the biggest pavilion ever built in any world expo by Pakistan and this is the reason why we have made the Pakistan pavilion a self built structure on a 2000 sq. yard plot utilizing the latest cutting edge technology on the inside to show case the importance we attribute to China and its people. 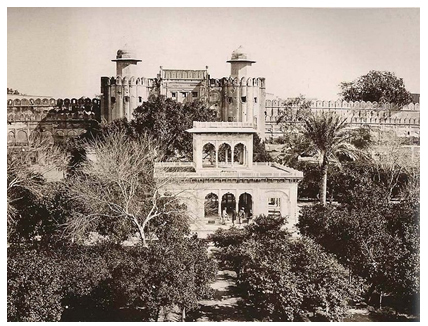 The profile of the Pakistan Pavilion is exactly as it is of the original fort in Lahore. 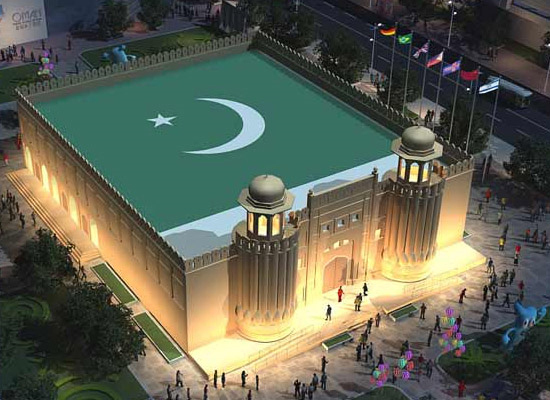 However, to comply with the limitations of the plot size, the Pakistan Pavilion has been scaled down. 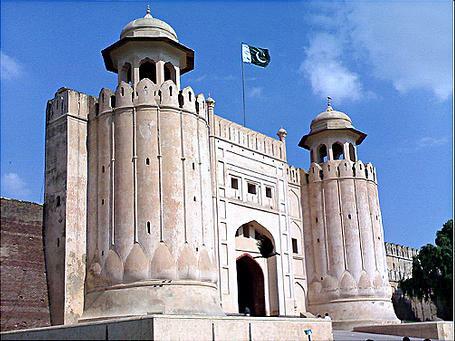 Hence the original fort is far more magnificent and majestic due to its larger and more imposing size. We did not want to add or subtract even one centimeter to the original which has been declared a world heritage site by the United Nation’s organization named UNESCO. 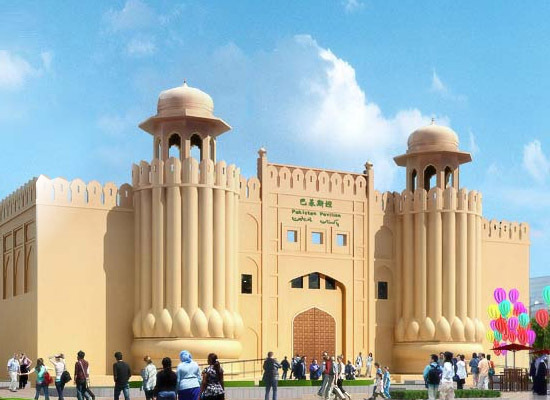 Though there are marked differences between the material used to construct the Pakistan pavilion and modern, ecological, energy saving concepts have been utilized in the construction of the pavilion to bring our contribution to the Expo 2010 to be a responsible, energy saving and evolved concept. 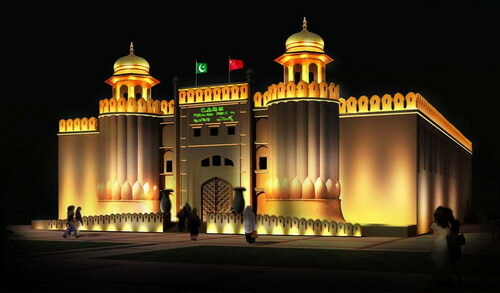 The theme of “harmony in Diversity’ shall be demonstrated through a live 3-D museum type gallery where different aspects of Pakistan’s culture, history, diversity of its people, the landscape, the arts and crafts, its rich traditions and other aspects shall be depicted to the visitors in a most mesmerizing and unforgettable manner. The latest holographic technologies are being utilized to depict our thousands of year old culture as well as the centuries old links between the people of Pakistan and China vide connections like the silk route which are still going strong through modern architectural miracles such as the Karakoram highway in the Himalayan mountain range that traces the route of the silk route and was built through joint cooperation between the Pakistani and Chinese engineers. This road is also the highest paved international road of the world at an altitude of 15,397 feet and connects Pakistan and China. 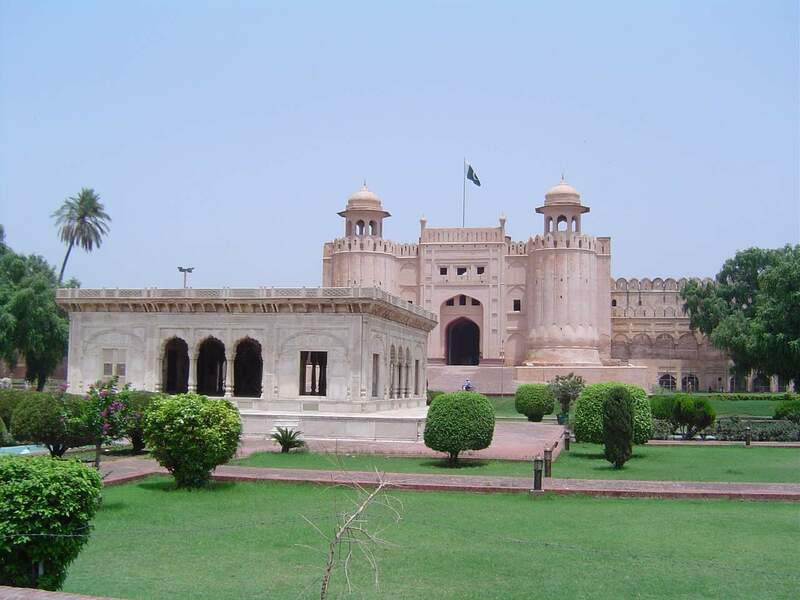 The unique and beautiful aspects of Pakistani landscape would also be presented to the visitors where they would learn of the immense number of attractive tourist spots in Pakistan that range from white sand beaches in the south, to majestic snow covered mountain ranges and lush green valleys of the north to the rich agricultural plains of the centre, all will be shown through all encompassing multimedia presentations. Furthermore, an entire timeline of the evolution of the people of Pakistan from ancient times, along with their diverse cultures, are being depicted through multimedia galleries which show unique things such as the important cities and artifacts from ancient Gandhara civilization in Pakistan dating back to the 6th century BC to the important centers of Buddhism near the capital city of Islamabad in Pakistan to the simple life of a villager to the modern Pakistan encompassing sky reaching skyscrapers. 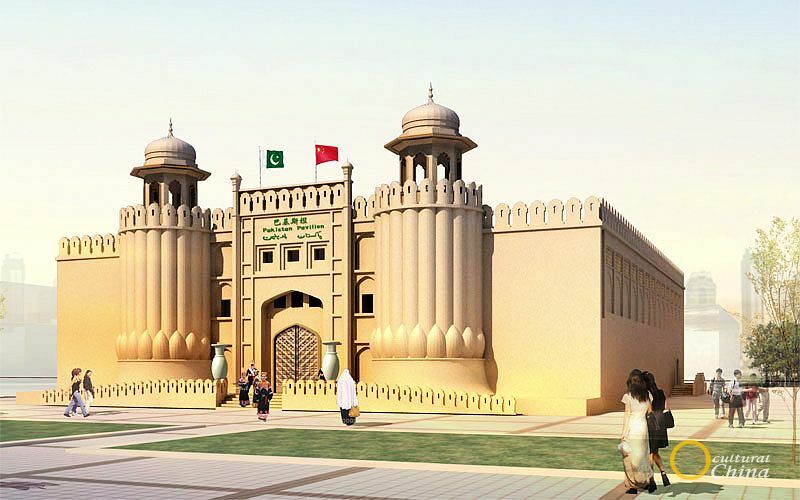 Live performances from Pakistani artisans, craftsmen, musicians and traditional dance troupes would also feature big in the list of attractions that are planned for the Pakistan pavilion. 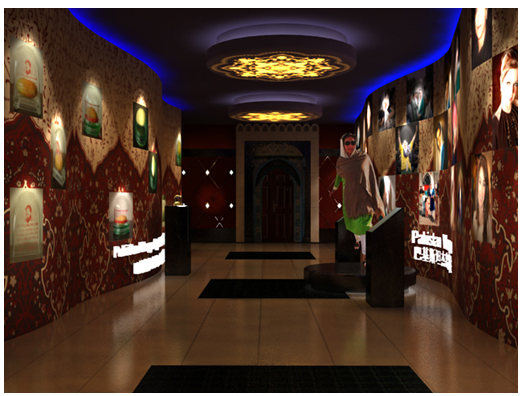 All in all, the Pakistan pavilion will display all its diversity, its splendour and harmonious ways of life to the world. 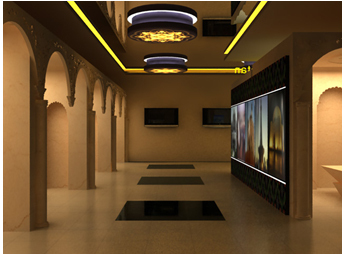 1) Reception hall: The reception hall represents the welcoming point for visitors in the Pakistan pavilion. The visitor shall be greeted by a waving Pakistani flag along with large portraits of the founding leaders of Pakistan as well as the current top leadership of the country. There would be a virtual reality waterfall which would be 6 meters tall. The hi-tech waterfall represents the importance of water in Pakistani economy where agriculture employs more than 50% of Pakistani workforce. 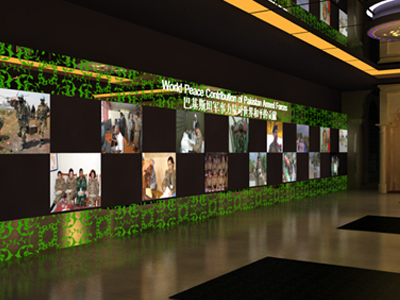 The reception hall also contains multimedia introduction to Pakistan, the Pakistan pavilion and its theme, presentations on each of the four provinces of Pakistan. There would be three electronic books that would depict the diplomatic relations between Pakistan and China, also there would be a book called ‘faces of Pakistan’ that would show the varied, beautiful and different faces of typical Pakistani people. 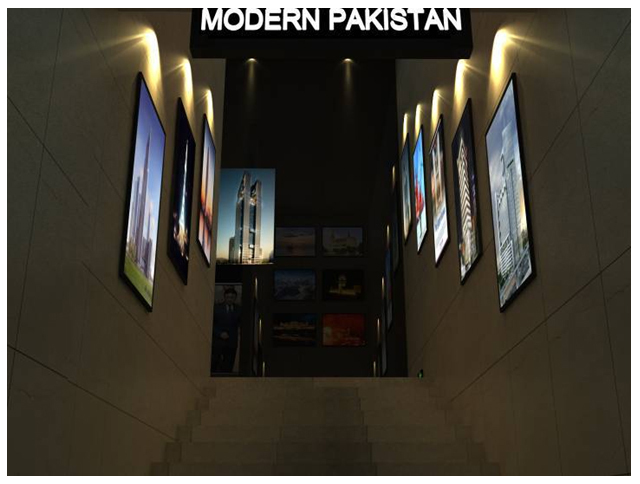 2) 3D model area: The 3D model area would have holographic 3D technology to depict a time line of historical background to the present modern day Pakistan. The first of the models would be a holographic model of an ancient priest king recovered from the ‘Mohinjodaro’ area of Southern Pakistan. 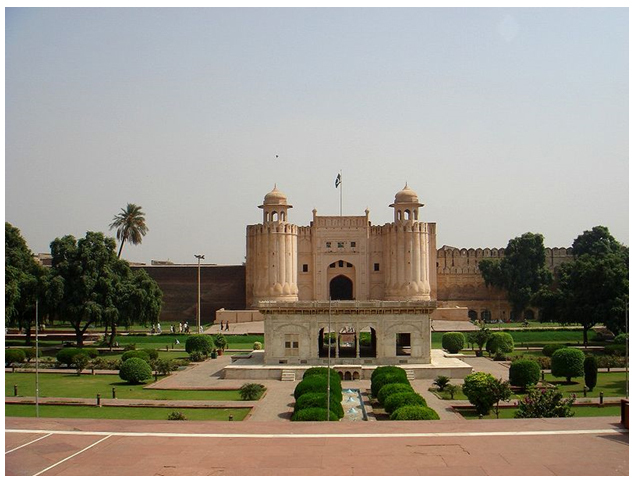 The ancient civilization dates around 2600 BC and this highly advanced city was existing in the area that is now Pakistan around the same time as ancient Egypt, Mesopotamia and Crete. The second 3D holographic model would be that of the ‘Taxila’ civilization which is the center of Buddhism in this part of the world. The third model represents the typical slice of life from a village in Pakistan. The simple eco-friendly life of a typical villager in Pakistan. Emphasis would be given to demonstrate their warm and friendly attitude of these people would be depicted here. 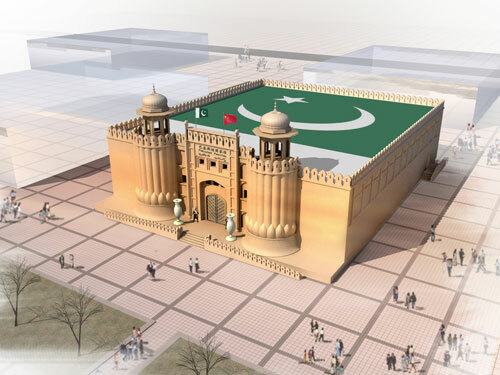 The last model would be the replica of the ‘national monument’ of Pakistan. 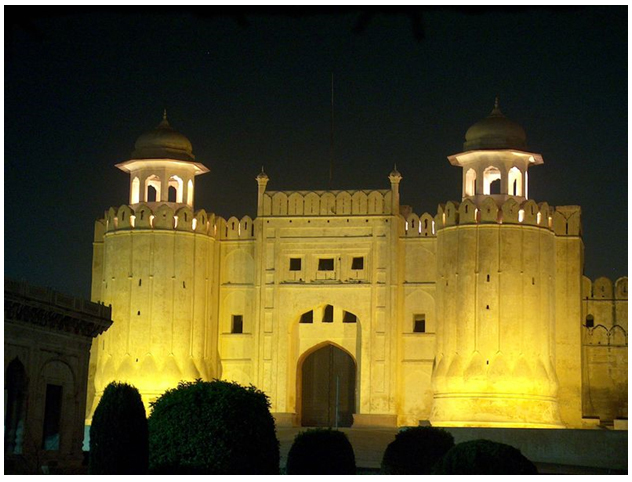 The beautiful architecture of this monument represents the continuous evolution of Pakistan and each of its provinces. 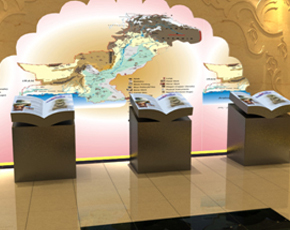 Multimedia projection would be also used in this model to highlight the cultural aspects of each of the four provinces of Pakistan. Throughout this area, multimedia screens would highlight the salient aspects of each of the models and additionally aspects of Pakistani investment potential, tourism , exports, education and sports etc would also be highlighted. 3) Silk Route: The historical ancient strong bond of friendship between the people of China and Pakistan will be highlighted as they have been interacting for thousands of years by using the silk route. The Karakoram highway, which is called the 9th wonder of the world, and which was built by Chinese and Pakistani engineers taking over 20 years and which follows the silk route would be highlighted. Also , the modern work that is being done to enhance the Karakoram highway today would be shown. The Karakorum highway is a symbol of the everlasting strong friendship of the people and governments of Pakistan and China. 4) Prominent women of Pakistan: The most prominent and successful women of Pakistan would be shown here. Pakistan women are dynamic, free and highly successful in many fields. The first lady prime minister of a Muslim country was Shaheed Benazir Bhutto in Pakistan. She will be shown in a 3D model technique where she would look like she is real and alive. All the successful progressive women such as the top social worker , the first lady captain of an airline, the youngest female athlete from Pakistan in world Olympics, the first president of a multinational organization in Pakistan along with all the female nominees from Pakistan for the Nobel peace prizes would be shown here along with famous actresses and other talented progressive women of Pakistan. 5) Beautiful Pakistan: In this section, the most beautiful locations of Pakistan which include breathtaking lakes, serene mountains, heavenly beaches, rich agricultural fields, historic buildings would be depicted in order to impart to the viewer the sheer diversity and raw beauty of Pakistan. In this area a model of the world famous ‘k-2’ mountain is also placed. K-2 is the second highest mountain in the world and each year numerous mountain climbers from all over the world come here to attempt to climb this mountain. 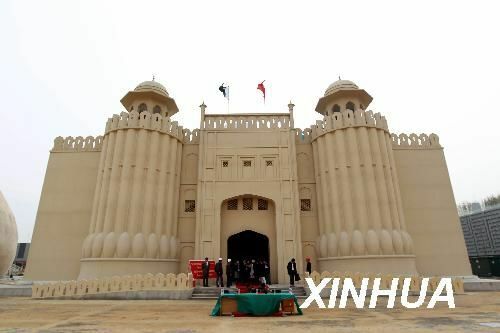 Additionally, a special 360 degree movie area is also present where visitors will be immersed in the unique sights and sounds of Pakistan giving a feeling as if they are actually visiting Pakistan. 6) Peace contribution of armed forces of Pakistan: Pakistan currently has the largest contingent of peace keepers in the United nations missions around the world. Despite the country’s small size, this largest contribution to world peace by Pakistani armed forces in diverse countries such as Slovenia, Cambodia, Somalia, Liberia, Bangladesh etc would be highlighted. Also highlighted would be the help that Pakistan extended to its Chinese brothers during the Sichuan earthquake of 2008 where Pakistan was the first country to send relief equipment, medicines, tents, warm clothing, food and a field hospital to China. 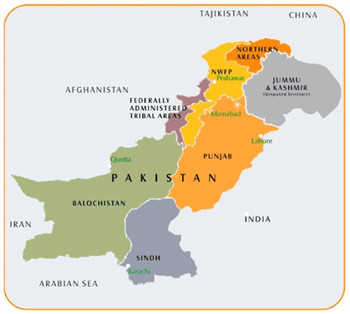 7) Modern Pakistan: In this section, all the modern developments of Pakistan including the latest infrastructure projects, the latest world class architecture and other modern aspects of Pakistan will be depicted which would show to the world that Pakistan is a fast growing and dynamic developing country. 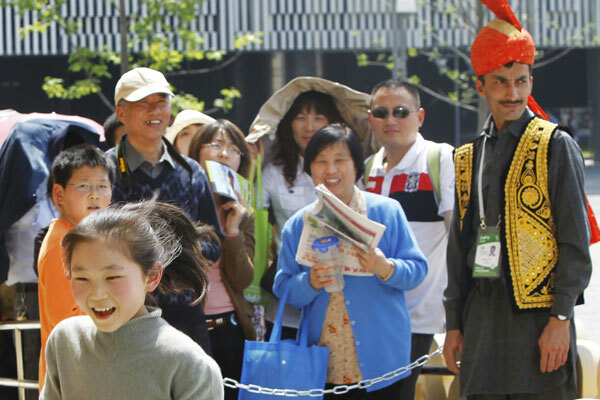 8–Shopping area: Here visitors can obtain souvenirs from Pakistan. As per B.I.E. and Expo rules, five typical items from Pakistan will be on display and available as souvenirs for visitors to the Pakistan pavilion enabling them to take home a cherished memory of their visit. These items would be all hand made items consisting of Onyx stone items, Brass items, Rose wood items, imitation jewelry and Hand knotted carpets. The skills and craft of the artisans would also be highlighted here using multimedia which would show to the visitors that each item is painstakingly made by hand using skills passed down through generations . 9) Pakistan restaurant: Visitors can taste the typical delicious food of Pakistan in the Pakistan take-away restaurant where typical Pakistani Bar-b-cue items as well as Pakistani tea and mango ‘lassi’ (yogurt drink) would be served. Also, Pakistani agriculture and food related items would be highlighted here. This area would also have computers where visitors interested in knowing more about Pakistan can enter their contact information and all details will be emailed to them electronically. This shows that the Pakistan pavilion is also eco-friendly and our values are those of modern, progressive and responsible nations. A performance stage would also be present here where visitors can enjoy the colourful and fascinating cultural performances from the four provinces of Pakistan.